Sufferers of autism, Alzheimer’s, and other forms of cognitive impairment are often looked after in the home – a 24-hour-a-day job often undertaken by relatives. Meredeth Rowe, a nationally recognized expert on aging and gerontology (specifically in the area of dementia) aims to make the lives of these caregivers easier. Such caregivers find a good night’s sleep remains a dream. Their care recipients often get up in the middle of the night and, because of their impairment, may leave the home not knowing how to return, or may injure themselves. 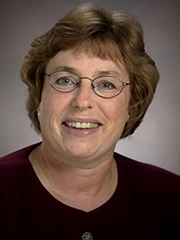 Rowe, a professor in the College of Nursing, developed a home monitoring system, called CareWatch. It provides voice, text, and alarm messages whenever the care recipients leaves the bed. The goal is two fold: to give caregivers a night’s sleep free of worry, and to prevent care recipients from injuring themselves or leaving their homes. In an autism pilot study, CareWatch was installed in 11 homes for six months. During that time, there were no injuries and no unplanned night exits. “Use of CareWatch increased parents’ minutes asleep at night, reduced daytime fatigue, and improved mood,” Rowe says. After the study ended, all the parents chose to keep CareWatch. Another study is now underway, this time with people suffering from dementia, which, so far, has been completely successful. Making caregivers lives easier is not enough for Rowe. Her research on those dementia sufferers who died after getting lost led her to propose new training and search techniques to more quickly find these people. As a result, the Florida legislature passed the Safe Return Act in 2004.